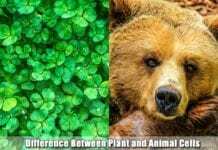 The body has natural and innate immunological responses against pathogens; however, these will only work if the pathogens themselves bear specific molecular patterns in them. More importantly, these immunological responses do not allow the formation of memory as they fight these pathogens. Because of this, the body’s innate immunity is only applicable to the prevention of the growth free-living pathogens in the body, and not in the development of a more lasting adaptive immunity. To combat a wider range of foreign bodies and potential pathogens, the immune system has adapted and evolved to become a system that can easily detect their presence. 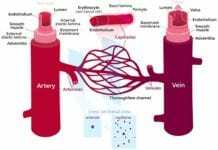 In particular, the system has developed a type of recognition, known as the antigen-recognition of the body’s antibodies. Despite being involved in the immunological response, these “seemingly” similar structures differ in many aspects. 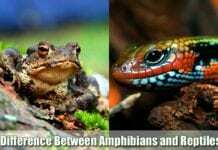 In fact, these two entities are one of the most confused and often interchanged concepts in biology. 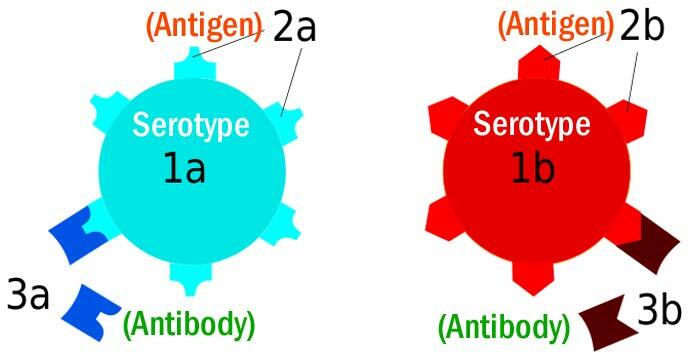 Hence, in the “differences between antigen and antibody” table below, we will explore the structure and functions of antibodies and antigens as well as how they differ from each other. An antigen is a type of molecule that interacts with the constituents of the immune system, specifically the antibody. Thankfully enough, the body can distinguish between foreign and natural cells and produce antibodies against them. A protein that binds to the antigen to elicit an immunological response. Antibodies are also known as immunoglobulins (Ig) and make up the majority of the protein constituents of the blood (about 20% of the total amount of plasma proteins). Highly variable with different structural conformations and is usually composed of different epitopes. As illustrated in the figure below, an antigen molecule may exhibit several conformations with varying epitopes (part). Each epitope has a specific shape that can be recognized by antibodies and other immune cells. As illustrated above, the basic structural unit of an antibody is composed of two identical light chains (which contain 220 amino acid units), two heavy chains (which contain 440 amino acid units), and four chains of polypeptides. The four polypeptide chains are connected by a combination of both covalent, specifically disulfide bonds, and noncovalent bonds. Furthermore, this molecule is considered to have both identical sides, having the same type of site for antigen binding. The light and heavy chains are the ones responsible for the formation of this antigen-binding site. Usually from a foreign substance. An antigen is produced by foreign bodies like viruses, and bacterial and fungal toxins. Antigens can also be found in spores and pollens. These substances may be carbohydrates, proteins, lipids, or even nucleic acids. Naturally produced by the body. Antibodies are produced by the B lymphocytes or B cells, which are a special type of white blood cells. These antibodies are produced in almost billions of types and structures, with each having a unique sequence of amino acids, therefore has different binding sites for antigens. Types Like antibodies, antigens come in different types, depending on the organism. In mammals, about five types of antibodies are synthesized, with each mediating a biological response after binding with an antigen. These five antibodies are the IgA, IgD, IgE, IgG, and IgM. Necessary for the regulation of substances that go in and out of the cell. Antigens work by binding with an antibody to stimulate the immune system, thus triggering the formation of antibodies. Antibodies are important for immunity as these agents help the body fight infections. They are naturally produced by the body to bind to foreign agents like viruses, and bacterial and fungal toxins, thus inactivating their actions. 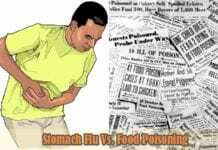 Without these antibodies, living organisms, particularly the vertebrates, will die of infection. What happens during an infection? During infection and immunization, the antigen’s epitopes interact with the light and heavy chains in the antibody, thus resulting in the formation of the antigen-antibody complex. This process is very specific and goes in four major steps: agglutination (clumping of antigens together), opsonization (coating of the antigen’s surface for easier phagocytosis), neutralization (neutralizing the chemicals and toxins produced by the antigen), and complement activation (lysing of the foreign cell or substance). In the case of the entry of an antigen into the bloodstream, the body produces more B-cells that divide rapidly to form plasma cells. 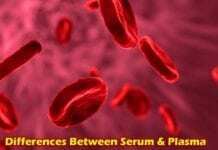 These plasma cells then produce antibodies and memory cells that can thrive for a long period (some may even last until death). This binding to pathogens also allows the antibodies to trigger the production of leukocytes (white blood cells) and other blood protein (known as the complement) components. These activated components then work together to fight foreign intruders. During his lifetime, the possibilities of being exposed to antigens are innumerable. Nevertheless, as he encounters more and more of these antigens, his immune system will gradually adapt in response to each of them. Interestingly, antigens are not that bad all the time. For instance, vaccines, which are a type of medication that elicits an individual’s acquired immunity to a particular disease, contain small amounts of antigen in them. When the vaccine is injected into the body, this triggers an immunological response and then resulting in the production of antibodies. Such is the primary reaction to an intrusion. When the individual encounters the pathogen again (called the second intrusion), the antigens will be easier to detect and be killed. In fact, the individual may not even show any symptoms at all. It is important to note that the binding of an antibody to an antigen is reversible. 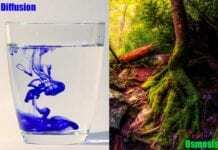 Like the binding of a substrate to an enzyme, the process is governed by the combination of many weak non-covalent interactions like ionic bonds, hydrophobic van der Waals forces, and hydrogen bonds. 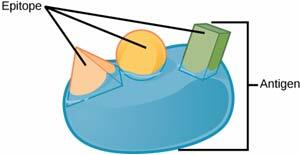 Being weak forces, these bonds are only successful if the surface of the antibody is close enough to the antigen molecule itself. 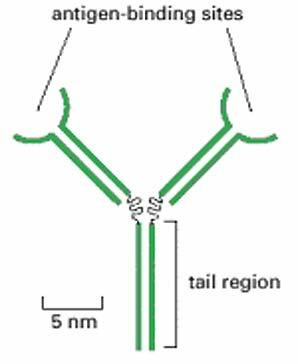 The antigen just needs to allow some of its parts to fit into the nooks on the surface of the antibody to fit in. At present, there are still no thorough studies regarding the assessment of both the qualitative and quantitative differences in immunogenicity. While there were studies that investigate the relationship between the structure of the antigen and the induced responses by the antibodies, a lot of concepts remain unelucidated. 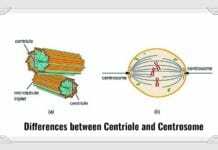 Nevertheless, it is highly important to determine the differences between these two structures for us to have more knowledge about their nature and activities during infection and following immunological response. Such understanding will further accelerate the advancement of medical research, thus improving treatment procedures. Cite this article as: "Discover The Differences Between Antigen And Antibody," in Bio Explorer by Jack Kirsten, January 26, 2018, https://www.bioexplorer.net/differences-between-antibody-and-antigen.html/. “The Immune System – Biology Innovation”. Accessed January 24, 2018. Link. 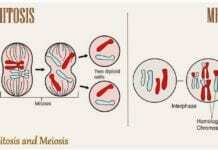 “Antigen: Meaning & Explanation – Video & Lesson Transcript | Study.com”. Accessed January 24, 2018. Link. “The nature of antibodies and antigens”. Accessed January 24, 2018. Link. “Antigen Recognition by B-cell and T-cell Receptors – Immunobiology – NCBI Bookshelf”. Accessed January 24, 2018. Link. “B Cells and Antibodies – Molecular Biology of the Cell – NCBI Bookshelf”. Accessed January 24, 2018. Link. “T and B Lymphocytes | Biology for Majors II”. Accessed January 24, 2018. Link. Antigen structure and immunogenicity. Accessed January 24, 2018. Link. 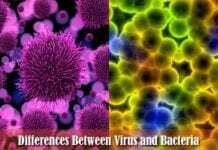 How Are Viruses Different From Bacteria? 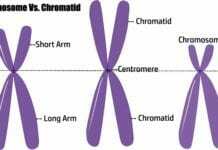 What is the Difference Between Chromosome and Chromatid?